Curtis Fort has been called a "Storyteller in Bronze," for his realistic portrayals of the west, particularly cowboys and ranch life, both contemporary and historical. Curtis Fort has been called a "Storyteller in Bronze," for his realistic portrayals of the west, particularly cowboys and ranch life, both contemporary and historical. Fort grew up on the Dickinson Cattle Company ranch in Lea County, and has been a working cowboy most of his life. "I have been following Curtis Fort's career as a sculptor for many years, and I feel his sculptures represent our state and the West with skill, authenticity, and deep feeling," said Max Evans, who received a governor's arts award for literature in 1993. Fort, who became a full-time artist in 1980, recently completed a life-size horse monument at Sul Ross State University in Alpine, Texas, which is dedicated to Big Bend law officers who have died in the line of duty. "There is not a more deserving native New Mexican artist to receive the Governor's Award for Excellence in the Arts, given his lifetime of work and significant contributions to the world of art," said Don Maddox, director emeritus and general counsel of the J. F Maddox Foundation in Hobbs, which received a governor's arts award as a major contributor to the arts in 2012. Maddox noted that the lobby of the new Center of Recreational Excellence in Hobbs features a wildlife scene and a series of historical plaques by Fort. Fort's artwork is also displayed in galleries, museums, private home and businesses, said Jim Harris, director of the Lea County Museum in Lovington. "Mr. Fort has established himself as one of the most highly regarded bronze sculpture artists in the nation," said Frank Dubois, New Mexico Secretary of Agriculture from 1988-2003. "His depictions of cowboys, Native Americans, wildlife, livestock, and western landscapes are things of remarkable beauty and faithfully represent the history of the West." Fort is credited with pushing the boundaries of his genre. "It is the subtleties, especially the attention to detail that is most prized in his works," Dubois said. "If there is a boot, spur, bit, saddle or other cowboy paraphernalia in the piece, you can be assured it is an accurate replica of the original." 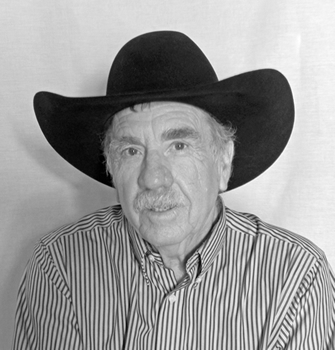 Fort has also written stories of his life as a cowboy that were published in the New Mexico Stockman Magazine from 2010 to 2014. He is currently consolidating those stories into an illustrated book for publication. Fort was one of the founders of the Will James Society, serving as the first president of the group, which is dedicated to preserving the art and books by Will James, as well as to promoting the values shared by working cowboys and their families. In 2017, Fort received The Rounders Award from the New Mexico Department of Agriculture, which honors those who live, promote and articulate the western way of life. Fort is also revered as someone who "happily gives back to his community," DuBois said. The New Mexico Governor's Awards for Excellence in the Arts is a joint program of the New Mexico Museum of Art and New Mexico Arts. Both are divisions of the New Mexico Department of Cultural Affairs.